Every story has a humble beginning. Amod, Cheteze, and Tenzing (ACT) met while doing their MBA. A few years after completing their MBA, they decided to launch a Digital Marketing firm together. At the time the Digital Marketing industry was still new to Nepal, with many local business not understanding what it actually entailed, and with few quality service providers. ACT believed that they could provide quality Digital Marketing services with the added benefit of data-driven decision-making systems that would help businesses truly achieve their digital marketing goals. 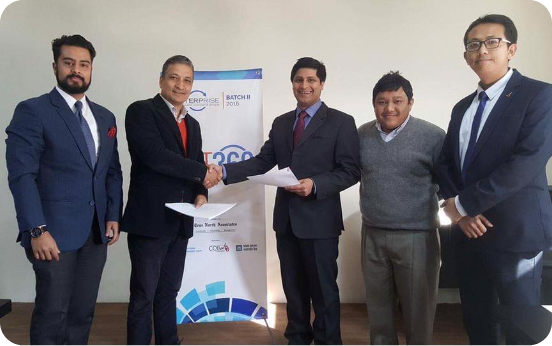 After successfully completing the Enterprise Accelerator Program in late 2016, ACT360 received their first round funding from True North Associates (T. N. A. Invest). Through TNA’s diverse network and expertise, ACT360 has benefitted with strategy formulation, product development, and general management. We interpret this as trying to do amazing things both at work and in our personal lives. In this way we hope to ultimately become the best at what we do. We live by a set of values which embodies our culture and the way our team moves forward. We are fun because we are always innovating and improving our processes and leveraging technology. We believe that we are always more awesome tomorrow than we are today. We hire only the best and inspire ourselves to reach greater heights so that we can deliver awesome results to our clients. Our first customers are our family of superstars. We believe that as our superstars achieve their dreams and become awesome individuals, they will deliver awesome results to our customers. We have embraced a culture of learning as a medium to become awesome and invest in our superstars to enable them to reach their highest potential. Some of the wins we have achieved with our family of superstars.